A one-stop resource for interior designers, architects and specifiers around the world, Style Library Contract brings together Harlequin, Anthology, Zoffany, Morris & Co., Sanderson, Scion and FR-One. 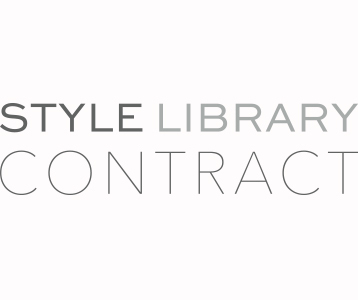 Style Library Contract delivers one of the widest and most diverse range of products and brands each with its own unique personality. From Anthology’s edgy contemporary textured wallpapers to Zoffany’s luxurious damasks, inspired by our very own design archives. Whether you’re specifying for hospitality, healthcare, education or any other commercial environment, you can rely on Style Library Contract to deliver best-in-class fabrics, wallpapers and paints that perform to the highest standard.